Chicanna Structure II is one of the most fantastical structures ever built by Mayan hands. 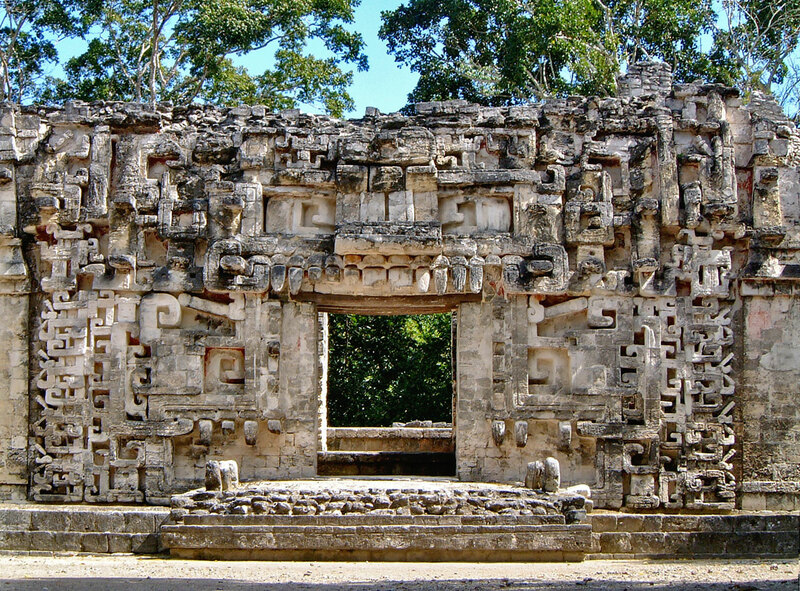 The façade surrounding the central doorway is a testament to the Mayan's skill, craftsmanship and imagination. It represents the gaping jaws of a reptilian beast and was masterfully constructed using a mosaic of individually carved blocks. Whilst the exact meaning or name of this fearsome is not known, it is possible to decipher much of its meaning by comparing it to other Mesoamerican artworks. Our article delves deep into the symbolism found on Chicanna Structure II and uncovers the probable motive and meaning of this incredible Mayan temple.